"Exceeded my expectations. The presentation made a complex subject more understandable and will help me use GIS in my work." 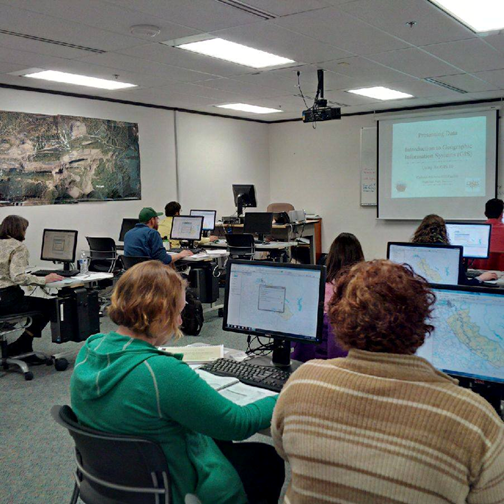 "Provided a good overview and enabled participants to gain a working knowledge of GIS ArcView." "The hands-on and theoretical discussion is a good combination! The instructor bridged the cultural resources and technical divide very well." "Exercises were key to building confidence." "[Provided] archaeological applications to GIS. No other course I know offers this." "Lots of information. I will use the printed materials extensively." "I have taken GIS classes before. This covered so much more! Plus, focusing on cultural resources-data I will use-helps me relate."